Update: Since the publication of this article, Anna Pavlikova has been placed under house arrest. Read more. In a bustling McDonald's in central Moscow, with the smell of fries hanging in the air, a group of young Russians huddled around a table was busy plotting to topple the government. At least, that’s what prosecutors would later say. The group, which called itself Novoye Velichiye, or New Greatness, came together at the fast-food chain several times. Mostly, however, they communicated online, through a chat group on the Telegram messenger. Parents and lawyers say the group discussed everyday matters: work, school and, sometimes, politics. But just four months after the chat was created, on March 15, security services raided several members’ homes, detaining ten on charges of extremism. Today, six remain behind bars. The most prominent among them is Anna Pavlikova, a veterinary assistant who was just seventeen when she was detained and whose health has quickly deteriorated since her incarceration. The defendants’ lawyers and activists argue the Novoye Velichiye case bears all the signs of an intricate setup by the security services with the group’s members cast as unknowing participants. The Novoye Velichiye chat group was founded in November 2017 by the 19-year-old veterinary student Maria Dubovik. From there, it grew slowly until peaking at 100 members. Among them were teens like Pavlikova who ostensibly had little experience with political activism. “She was still playing with dolls and had stickers of ponies on her bedroom wall,” her father Dmitry Pavlikov told The Moscow Times. But the group also attracted less innocuous figures, including Ruslan Kostylenkov, а 25-year-old known by the nickname Center. He was previously associated with a vigilante group called White Owls, which proclaimed to “hunt down pedophiles.” He also had a criminal record. Kostylenkov was quick to position himself as the leader of the group and had an authoritarian streak, the defense says. At one point, he supposedly threatened to kill Pavlikova after she tried to leave. “It’s possible that Kostylenkov aspired to become a political leader,” Dubovik’s lawyer, Maxim Pashkov, told The Moscow Times. The group "just went along with it," he said. There were also those who sympathized with opposition politician Vyacheslav Maltsev, a fierce critic of Vladimir Putin who fled Russia after himself facing extremism charges and mistakenly predicting the beginning of a revolution in November. But, their lawyers say, the group was not prepared to put words into action. “If no one had got involved, they would have just continued discussing their political views at McDonald’s or through the chat,” says Nikolai Fomin, Pavlikova’s lawyer. Dubovik’s lawyer, Pashkov, describes the group as “harmless.” In one example meant to demonstrate their amateurism, he described how they had tried to broadcast their own show on social media, emulating prominent opposition leader Alexei Navalny. The plan failed, however, because they could not even afford to buy a camera, he said. Nonetheless, the group appeared to have attracted the attention of the security services which consequently set out to infiltrate it. In November 2017, a certain Ruslan D. joined the chat. Telegram records seen by lawyers and The Moscow Times show he encouraged the group to escalate their activities. Leaving behind the McDonald’s, Ruslan D. rented an apartment to host gatherings, bought a printer to produce flyers and took over the group’s finances. He also suggested the group should have a manifesto, which he then volunteered to write. Lawyers have since argued that the language used in the text paved the way for the group to be charged with extremism. There are several pieces of evidence the defense cites to support their claim that Ruslan D. was working for the federal security services, or FSB. Court records refer to him as Alexander Konstantinov. But that, too, is a pseudonym, the defense say. Police records of his testimony do not give a place or date of birth, address or other required personal details. “They only give his first and last name, nothing else,” Pashkov, the lawyer, said. Ruslan D. , or Konstantinov, was not the only security official posing as a member of the group. Others included a member of the National Guard, and two Interior Ministry officials, one of whom held a high rank in the ministry’s counter-extremism branch. 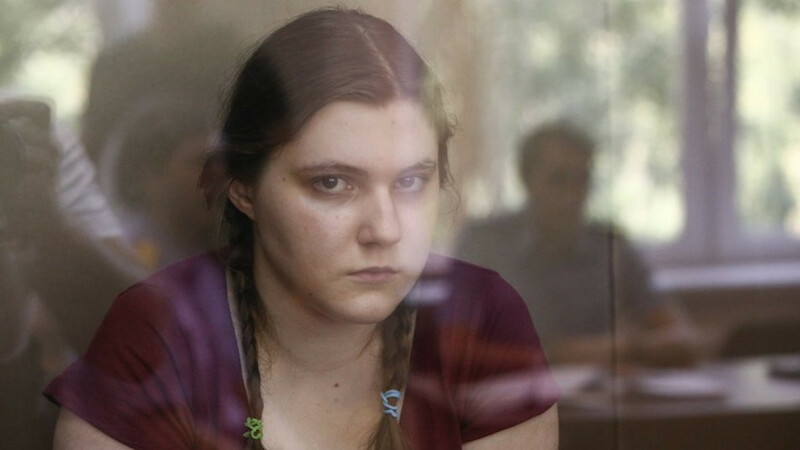 With the case against the Novoye Velichiye members largely reliant on the testimonies of four witnesses, the murkiness around establishing the true identities and roles of those who testified against Pavlikova and her peers has sparked confusion and anger among those following the case. It is possible that the authorities’ heavy-handed approach may have been part of an effort to nip unrest in the bud ahead of the World Cup in Russia this summer. 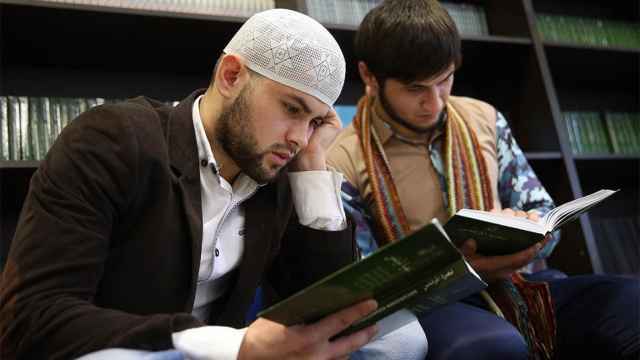 But others argue it is more likely the result of rivalry between different branches of Russia’s security apparatus who are overzealous to prove they are fighting so-called extremism in a bid to further their own career prospects. 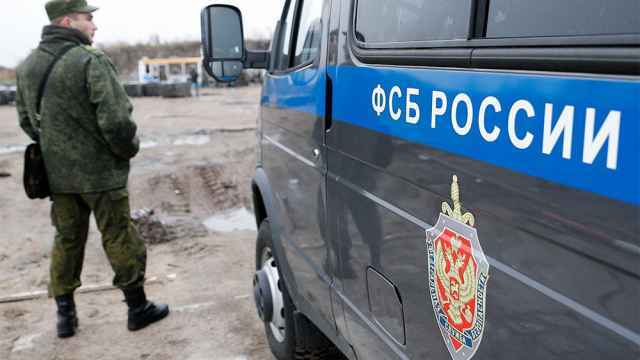 Nevertheless, Verkhovsky said, the heavy security presence in the group has raised eyebrows even among those familiar with the practices of Russian law enforcement. The case is "absolutely abnormal,” he said. Meanwhile, six members of the Novoye Velichiye group are still being held in pre-trial detention and protests, joined by prominent public figures, have been held in Yekaterinburg, St. Petersburg and Moscow,. Pavlikova’s detention in particular has fueled public outrage. Citing a heart condition, the defense has called for her to be put under house arrest. After suffering medical complications, she has instead been transferred to the medical wing of the Matrosskaya Tishina detention center, once home to, among others, Mikhail Khodorkovsky and Sergei Magnitsky (who, incidentally, died there under suspicious circumstances). Reports in Russian media have since reported Dubovik has also been diagnosed with a tumor and other medical complications. Meanwhile, Dmitry Pavlikov, Anna’s father, can do little else but defend his daughter’s innocence and sing her praises.